Click here to view videos from this program! The world of work is undergoing radical change, and so must our approach to leadership and talent development. Gone are the days of episodic, sometimes disjointed leadership programs. Enter the era where leadership development happens daily and in the context of the organization where the leader lives. How can leadership development remain relevant and keep pace with shifting demographics, new ways of collaborating and building networks of teams, non-stop communications, and the disruption of hierarchies? Come and join the conversation! While Josh Bersin will be speaking in NorCal, we will have a live simulcast for our SoCal attendees, followed by a facilitated discussion. 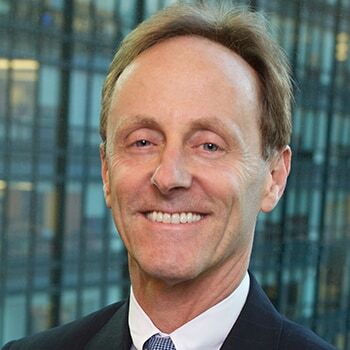 Josh Bersin founded Bersin in 2001 to provide research and advisory services focused on corporate learning. He is responsible for Bersin by Deloitte, Deloitte Consulting LLP’s long term strategy and market eminence. Josh is a frequent speaker at industry events and has been quoted on talent management topics in key media, including Harvard Business Review, The Wall Street Journal, Bloomberg, on BBC Radio, CBS Radio and National Public Radio. He is a popular blogger for Forbes.com and has been a columnist since 2007 for Chief Learning Officer magazine. Josh spent 25 years in product development, product management, marketing and sales of e-learning and other enterprise technologies at companies including DigitalThink (now Convergys), Arista Knowledge Systems, Sybase, and IBM. Josh's education includes a B.S. in Engineering from Cornell University, an M.S. in Engineering from Stanford University, and an MBA from the Haas School of Business at the University of California, Berkeley. Laurie Jerome, VP Talent Management at Experian, will be our discussion facilitator. Laurie is a respected leader in the talent and Leadership space and brings deep knowledge and experience to the Leadership conversation.